Preparation- Some people want preparation captured, some don’t. This is when I’d capture each partner getting their wedding kits on and details that are easy to forget but are an important part of your day. For proper preparation coverage ideally I’d have a minimum of 45mins with each person getting ready. As a documentary style photographer I will capture what ever you’re doing from when I arrive until I leave. Some people want more guidance than this though so I’d say for women it’s ideal if I arrive when they’re half way or almost finished with makeup and I’d leave when they got their dress on, for men it’s great if they have their pants and shirt on and I’d capture them doing jackets, ties, buttonholes or what ever they’re wearing, and then some shots of them hanging out before they leave for the ceremony. Sometimes I’ll capture one partner getting ready but not the other, instead I’ll head to the ceremony a bit earlier to get the second partner greeting guests and preparing for the ceremony, rather than actually getting suited up. It’s also important to take into consideration the location of each preparation address in relation to the ceremony. If things are far away, travel will eat into the amount of time we have for preparation shots and it is important that I arrive early for the ceremony to ensure that I’m prepared. Ceremony- The most vital part of the day, if I am shooting videography I will need to arrive 40mins before the ceremony in order to set up and capture establishing shots, as it will be go go go from the moment the ceremony begins and I don’t want to miss a thing. Particularly if I haven’t captured preparation shots of one or both partners, I’ll want to get extra detail shots and interactions before the ceremony. Ceremonies last from a very modern 10mins up to 1.5hrs for religious ceremonies, with an average length of about 30mins including the signing. This is something to chat to your celebrant about, there’s a lot of choice and a good celebrant will encourage you to make your ceremony personal and perfect for you. Family photos- Immediately after the ceremony guests will want to congratulate you, and it’s awesome if you can take this time to say hello to everyone and let them tell you how good you look. However, sometimes the schedule is tight and it’s necessary to ask the celebrant to tell guests to save congratulations for the reception. As soon as it’s appropriate I’ll start rounding people up for family photos. I recommend keeping these to immediate family- just parents, siblings (one shot with partners and one without) and grandparents, so that they take up less time; extended family shots can always be taken during the reception and will be more fun and less formal then. This part of the day is not only a time eater but will give you photo-taking-burn-out, and I would prefer to have you excited about heading into a photo session rather than already done with pictures because you’ve been standing, smiling and looking at the camera for too long already. If you really want to capture formal shots with aunts and uncles and cousins etc, we can definitely do it, I’ll just need to be firm and direct with guests in order to get it done in a timely fashion. I would generally recommend allowing 15mins for congratulations and 15mins for immediate family photos, but this would vary depending on how many guests you have and how many groups you want for your family pictures. Bridal portraits session- The amount of time you dedicate to this is totally up to you! Some couples want lots of amazing photos of the the two of them and their bridal party, and lots of couples just want a couple of nice photos and to get back to their reception as quickly as possible, most are in the middle. I recommend anything from 30mins to 1.5hrs for the bridal portraits. If you have a large bridal party and want plenty of variety in your formal wedding photos, 90mins would be ideal, plus travel time if you want to get to multiple locations and driving is involved. If you just want a few nice portraits and don’t have a bridal party, or it is only small, you can get away with 30mins but additional time would be great if you can afford it. For everyone in between, an hour is a good place to start, but try to allow a little leeway just in case the ceremony runs overtime or things are just generally running a bit late. Your photographer and videographer will do their best work when they’re not in a rush. Reception- For the reception I will wander and capture candid shots and group shots when people want them, then of course I’ll capture cake cutting, speeches, dance shots and any other important stuff that happens. If you’re encouraging dancing at your wedding I like to stay for at least 30mins after the dance floor is opened, but can of course stay later if you want lots of coverage. Just keep in mind that once the formalities are over I’ll keep getting similar shots of the same people, and it can be repetitious, it is sometimes better to have me finish early, save money on the additional hours and just enjoy yourselves later into the night. As with the ceremony, there’s tons of flexibility in how you structure your reception. Some people don’t do a first dance, some get all their formalities out of the way as soon as they enter the reception and others prefer to stretch it out. It all works, it’s just about personal choice. Travel time- take into account travel time on your wedding day and allow extra time, particularly if you’re getting married on a Friday close to the city. Parking is another thing to consider, particularly for inner city weddings. Once I had a couple get married at Melbourne Zoo on a Saturday. With the enormous car parks available we had all assumed it would be fine but there was almost no parking available, I got lucky but had to lug my gear from a distant park, the photographers on the day illegally parked in order to make it on time. Allow time and think ahead. A note on summer weddings- The light in summer is very harsh until close to sunset. Like, really harsh. If you’re brave you can ditch the traditional wedding day structure of, ceremony, then bridal portraits, then reception and instead, after the ceremony and getting a few family photos, start hanging with your guests straight away and make time during the hour before the sun sets to do bridal portraits. 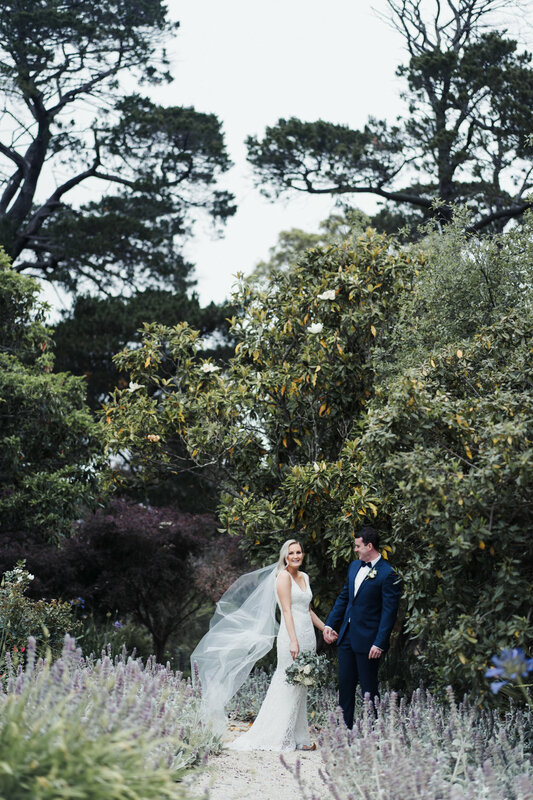 This will mean you can relax straight after the ceremony and while you will have to leave your reception, it’s a really lovely time to take a moment with your partner, reflect on the day and enjoy each other’s company. If you’d prefer to get those shots done earlier in the day that’s totally fine, but the light may not be ideal and it’s awesome if you can take at least 5mins to head outside for a couple of shots during golden hour to make the most of the best light of the day. First look- It’s becoming more common for couples to get their wedding portraits done before the ceremony, so they do a ‘first look’ to have that special, seeing each other for the first time on their wedding day, moment. This is an excellent idea, especially in winter when the light disappears very early and you don’t want to have an early ceremony in order to allow enough time for photos. It doesn’t work quite as well in summer though, you’ll be able to spend time with guests immediately after the ceremony but it also means you’d have to do the portraits session earlier when the light is more harsh. Get ready together- This isn’t very common but I LOVE it when it happens, it’s so lovely. The bride and groom, or grooms and brides, get ready together and spend the whole morning together preparing for the wedding.There is no first glimpse of each other but helping each other to put on dresses or suits is still a really special and emotional moment. It means less time needs to be split for preparation shots and things are more organised on the day. If you got through all that, well done, it was A LOT, I hope it helps! As I said at the start, you can structure your day however suits you and your partner. 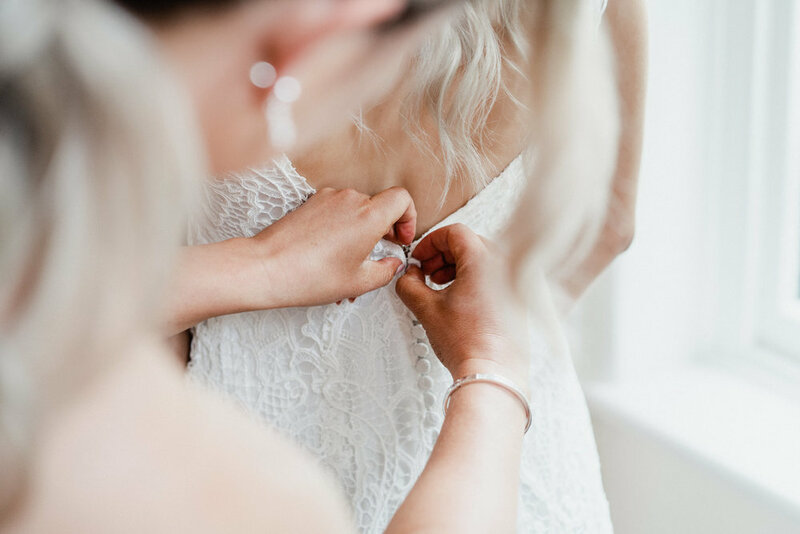 Take into account the time of year and the locations of preparation, the ceremony and the reception, but think mostly about how you want to do things on your day and which parts mean the most to you. If you have any questions or something here doesn’t make sense please don’t hesitate to get in touch!